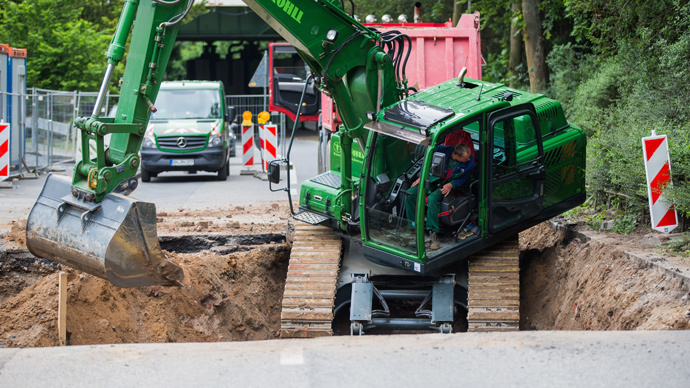 Around 20,000 residents in Cologne in Germany were evacuated after a 200-kilogram bomb from World War II was discovered during preparations for construction work. Deactivation of the device, found near Muelheim Bridge over the Rhine River, is scheduled to take place on Wednesday afternoon, the DPA news agency reported. The bomb, believed to be a US design, is 1.76 meters long and 60 centimeters in diameter. It is buried 5 meters underground, which is going to complicate the task of the bomb disposal squad. “As is common with these heavy bombs, this one is very deep down. Such a big bomb can't simply be taken out. We need to dig a deep and wide hole first,” Dieter Daeneck, who is leading the operation, told FAZ. Earlier, 20,000 people had to leave their homes, including over a 1,000 residents of a nursing home, which required dozens of ambulances to arrive on the scene. 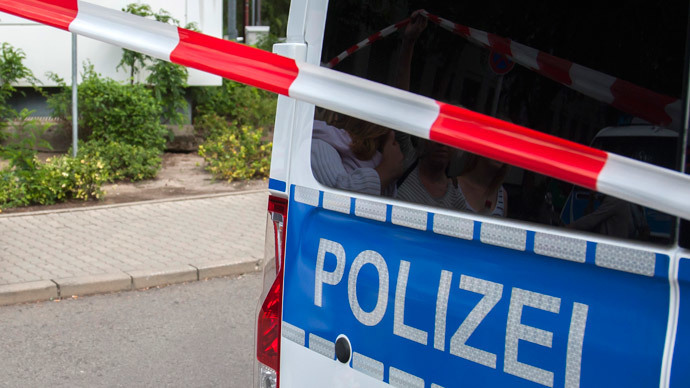 Schools and kindergartens in one-kilometer area around the location of the bomb as well the Cologne Zoo were closed, the DPA news agency reported. The city authorities also banned navigation on the Rhine River and closed airspace in the area. If the bomb exploded it could’ve caused “shock waves over a wide distance that can rip off roofs, windows, doors and so on," Wolfgang Wolf, disposal squad spokesman, is cited as saying by Deutsche Welle. It is 70 years since the end of World War Two, but nevertheless unexploded bombs are still being found on a regular basis in Germany. Last Friday, another war-time bomb triggered the evacuation of 10,000 in Cologne. The Allied forces bombarded Cologne in 262 separate air raids between 1940 and 1945 during World War II.